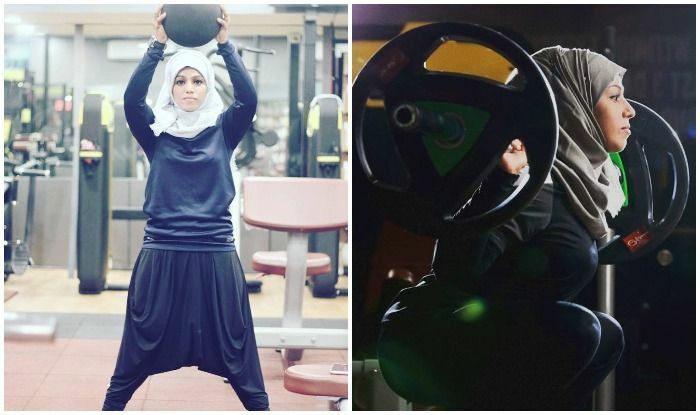 Muslim women are breaking stereotypes and proving their mettle even in the domains like body-building and power-lifting which are dominated by men. 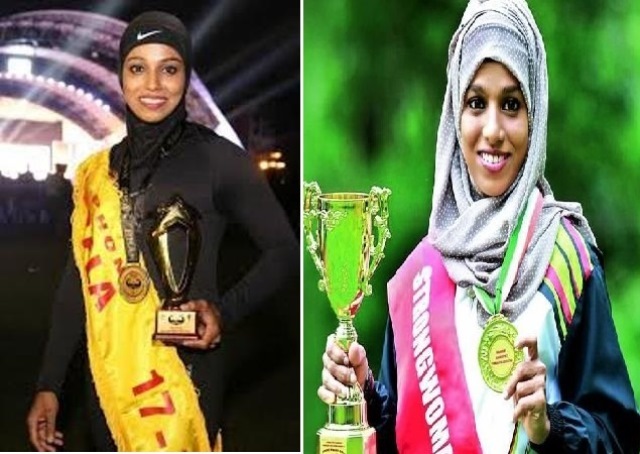 Coming from a small village of Kerala, hijab wearing Majiziya Bhanu took the media by storm when she won a silver medal in the Asian Powerlifting Championship in 2017. She was also declared the ‘Strong Woman of Kerala’ thrice by the Kerala Powerlifting Association. Rabab J Ghadiali spoke to Majiziya , exclusively for Muslim Mirror. In this tete-e-tete, she spoke about her journey. Rabab : Tell us about your childhood, family background. Do you come from a privileged family? 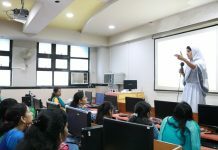 Majiziya: I come from a very small place called Orkatteri which is a part of Kozhikode district Kerala. As is the case in villages; the people in my community have a very traditional and conservative mindset. It was uncommon for a girl to be so much into sports and sporting activities. But since my childhood, I enjoyed playing all the different games I could and were possible given the fact we didn’t have any facilities or sporting academies in our village or in any nearby locations. I used to participate in all kinds of sports when I was a child. My aim was to learn more and more about them and use that knowledge to improve myself as an athlete and as a sportsperson. My parents (Abdul Majeed and Raziya Majeed) played a big role in it and supported me. They used to always encourage me and motivate me. Rabab : What difficulties you used to face as a child and now also. Majiziya: One of the major difficulties I faced was that there were no good facilities in the nearby areas for sportsperson like me. On top of that, coming from an orthodox community, people were not very open to the idea of a Muslim girl in sports. I still remember those days when I first started going to gym. People used to come to me and my parents and try very hard to convince us that what we were doing as a family was not correct. But I was lucky that my parents were supportive and believed in me. Even today, if you look around, there are very few Muslim girls that you would see in sports and even if there are they would not receive the same encouragement and support from the society in general. But I do feel that things are changing, may be slowly, but for the better. Majiziya : I consider Serena Williams as my role model. Although I don’t play tennis, I like watching her. She has been able to reinvent herself and has come out stronger from every situation. All throughout her career she always has been one of the top contenders in any event she has participated in, irrespective of the fact whether she is going through a bad patch or coming out of an injury or even after her pregnancy. She has set an example for all the female athletes out there who want to excel in their game and have a successful and a long career. Rabab : What hurdles do you face in your profession now ? Majiziya : When I participate in events or even in my daily life, I wear a Hijaab. Sometimes the reactions I get because of this are unexpected. 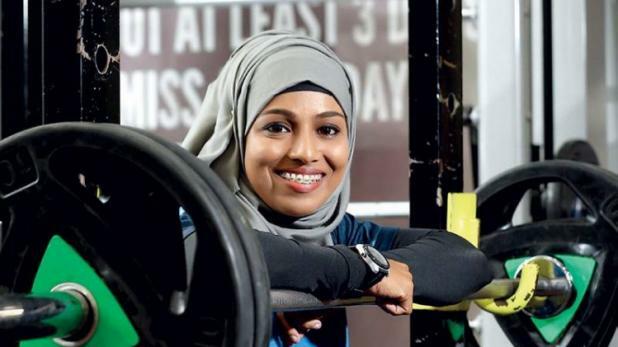 I don’t see my Hijaab as an obstacle or something that limits me as a sportsperson. I wear it with a lot of pride and for me it is a part of my culture, values and traditions. I strongly believe that one should respect all the religions and treat each one with equal dignity and respect. Rabab: Apart from a family, who else is your support system ? My coach <Name> and my friends have also been a great source of inspiration for me. Majiziya : My aim is to win an Olympic Gold for India. That to me is the pinnacle of glory for any sportsperson and I am working very hard to achieve it. Just thinking about it gives me goose bumps. I also want to win World Championships as it is also another competition apart from Olympics, where the best sportsperson from all countries participate. I want to win these Championships and bring more glory for my country. On a personal level, I also aspire to become a doctor so that I can help and create positive impact in the life of more people. I also want to start an affiliated Sports academy for children and especially girls wherein they can learn the nuances of various sports and improve their skills. I know how difficult it is to work on your game if you do not have good facilities and training. I know that with correct support and guidance Indian girls can also shine in the sporting arena and be the best in the sport of their choice. Majiziya: I believe that “Nobody and nothing can stop you from achieving what you want, if you have the will power”. Yes, there will be difficulties and obstacles, but if you are determined to be the best then you will find a way to overcome them. I too had to go through some tough times; however I was very sure that I wanted to make my mark as a sportsperson and kept on working towards my goal. If you are constantly working towards your goal and are giving your best, you will achieve success. Are teachers relevant even today?